Thank you for the invite to speak today. I would like to start by saying something very briefly about ‘Brexit’. The main objectives for Unite – and the wider Labour movement – is to work to protect and defend jobs, employment and trade union rights, investment, access to skills, in the EU withdrawal negotiating process and as the outcomes of political and legal processes that are unfolding domestically. Specifically for us means the defence of workers’ rights and protections underpinned by EU legislation and their retention in primary legislation, alongside wider social and environmental protections. And it means securing tariff-free access to a single market – and membership of a customs union, which for all sectors of our economy offers the best chance of protecting decent, well paid jobs particularly in manufacturing that could move out of the UK. That is why Unite supports the ‘Six tests’ set out by Sir Keir Starmer and the Labour leadership on any final Brexit deal. But that is not the total extent of Unite’s vision – and it is not the limit to our analysis of what is necessary in this country to ensure the future security of, and better living standards for, our members and wider society. We need to place Brexit in its proper context if we are having a discussion about the economy and industrial strategy. So what led to Brexit and long term problems? Firstly, let’s be clear about what has happened in this country over decades. Chronic under-investment over decades stunted the overall level of economic growth. Our country languishes near the bottom of nearly every OECD table giving investment levels on transport, communications, energy and housing. This overarching macro-economic really policy matters – because it determines the jobs we will keep or lose, the jobs we do or don’t create as a society, and the living standards of us all. The contours of our industrial landscape have been re-shaped as the free market was allowed to rip through our manufacturing base, local communities and public services. Jobs growth over the past 30 plus years has been in low-paid, low-skilled, low job security occupations – with a raw focus on transition into ‘any job’ – with ‘quantity over quality’. This has been combined with political policies to strangle trade unions and weaken employment rights that have led to a fall in collective bargaining, accelerating pay and wealth inequality and the growth in low paid and insecure work. All of this has left us with an economy that is sectorally and geographically unbalanced, with low productivity, and a deeply unequal society. And of course then we experienced the deepest financial crash on record. Never ones to let a ‘crisis go to waste’, the Conservatives began their project of ‘austerity’ – directly leading to the slowest recovery on record. Wages have still not recovered their pre-crisis levels – as highlighted by last weeks TUC march for a ‘New Deal for Working People’. The current weakness in the UK economy has been widely acknowledged, and although it remains politically expedient for the government to repeatedly blame external events the weakness is a result of government policies. This history is worth remembering because we still have a government’s whose plan appears to be simply to ‘dig in and carry on’ with the very policies that helped to further entrench the anxiety and powerlessness felt by many as public services and benefits have been needlessly and ruthlessly cut, and saw employment and collective trade union rights further weakened – and which expressed themselves in the ‘Leave’ vote. The concerns felt by millions of ordinary working people were expressed in the EU referendum – a result that was as much a rebuke to an out-of-touch political and economic elite as it was about the EU itself. Those concerns pre-dated the referendum and they will continue to exist after a deal is negotiated. It also highlights that there is now more than ever the need for an industrial and economic policy – such as Labour is putting forward – based on sustained public investment in our infrastructure to generate sustainable economic growth, that can crowd in private investment, enable an industrial strategy to flourish, to develop the industries of the future and for us to transition to a high pay, high-skill, low carbon economy with decent work for all – with stronger employment and trade union rights. Britain needs to carve out a role for itself in the world as a competitive, cutting edge, high-skill economy – and Brexit and the coming fourth industrial revolution makes this even more necessary. And a central part of that is an active industrial and manufacturing strategy. Unite believes there is an active role for government to play in supporting our industries – state intervention shouldn’t just come as crisis intervention – such as we saw in steel two years ago – but an active industrial policy, as part of investing to create a stronger economy, is about government taking responsibility to make sure that things go right. As Ha-Joon Chang argued two years ago at this conference – there is a need to ‘reindustrialise’ our economy, pointing out that ‘making things matters – this is what Britain forgot’. And government has a role in making this happen. One thing Labour gets is that Manufacturing matters. Labour’s industrial strategy is what Unite, business, industry, academics and many others had called for – for a long time – and we welcome its recognition of the need for an industrial strategy that covers not just rebuilding our manufacturing base but the whole economy. But until we are successful in our fight to get Jeremy Corbyn in Number 10, John McDonnell as Chancellor and Becky Long-Bailey as our BEIS Secretary of State, we are left with this sorry, worn out, divided, do nothing government. We have a government that is ideologically wedded to a failed economic model that would have stifled a coherent industrial strategy at birth. And it was the Tories industrial strategy? Well, it was months late and not worth the wait. A bumper document – an inch thick – bereft of ideas – that didn’t mention trade union participation and sees no role for the workforce in sector deals. It is document that was long on words, big on typeface, and short on detail – and certainly no underpinning resources. Just a plethora of platitudes. Unite is clear in our demands to this government – their mishandling of Brexit is magnifying their failure for a coherent industrial strategy and it is our members and all of us, working people in our millions, who will pay the price. strong trade union and employment rights and sectoral collective bargaining so we all share in the rewards of economic growth. 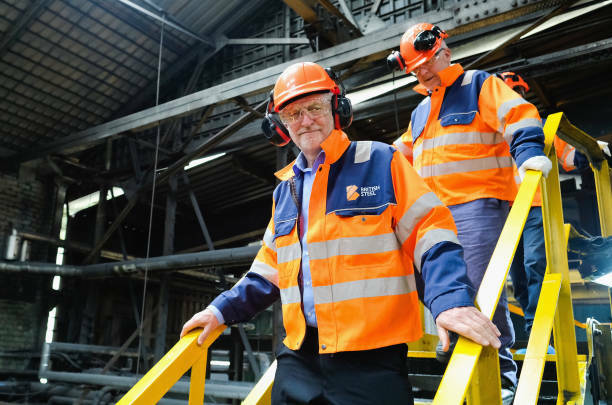 Having worked with the leadership on an industrial strategy – with Jeremy Corbyn, John McDonnell, Becky Long Bailey, and their teams we in Unite know that they get it – they get that we need an industrial strategy that works for the many not the few. This is also why the country and UK industry urgently needs a Labour government to make sure manufacturing really does matter. This entry was posted in Blogs, Economics, Employment Rights, Labour Party, Media, Politics, The Digital Economy and Unions, Trade Unions, Trades Union Congress, Unite The Union. Bookmark the permalink.